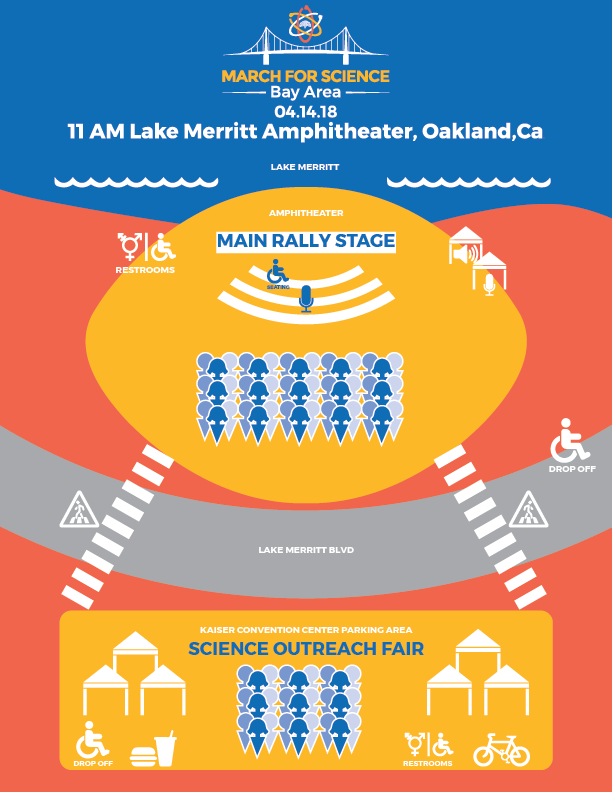 March for Science Bay Area photos & videos will be added over the next week, and continually as they are received. THIS was A FAMILY-FRIENDLY EVENT WITH RALLY, SPEAKERS, MUSIC, PARTNER BOOTHS, INTERACTIVE DEMONSTRATIONS, FOOD TRUCKS, RAFFLE, AND CHILDRENS' ENGAGEMENT ACTIVITIES! Speakers & Performers at the Main Stage! 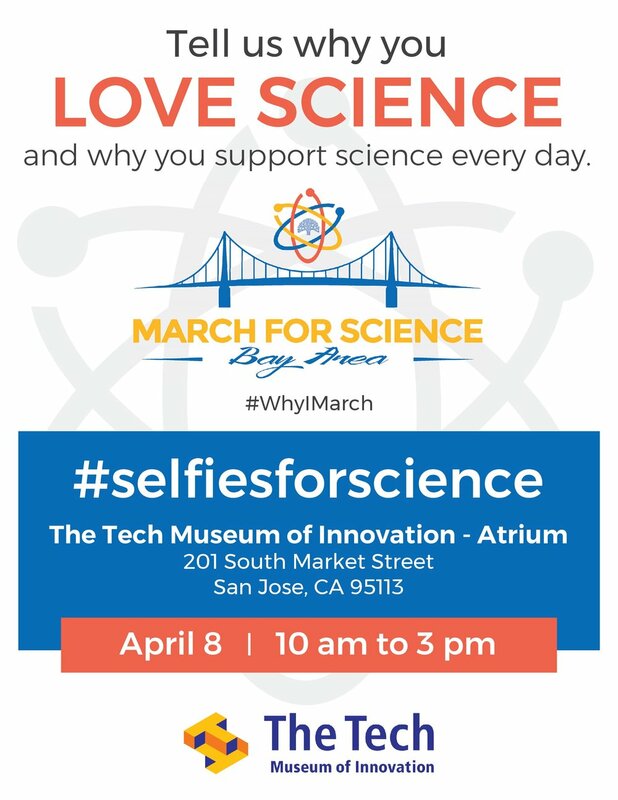 WILL BE HOSTING SPACE AT MARCH FOR SCIENCE BAY AREA! Thank you to all of our 2018 Partners for helping to make our work possible. Click here to view full list of 2018 Partner Organizations, and additional Partner, Sponsor, or Endorsement information. Click here to view photoshoot gallery! Click this event to view photoshoot gallery! The Tech in San Jose! the STEM Fair in Berkeley! 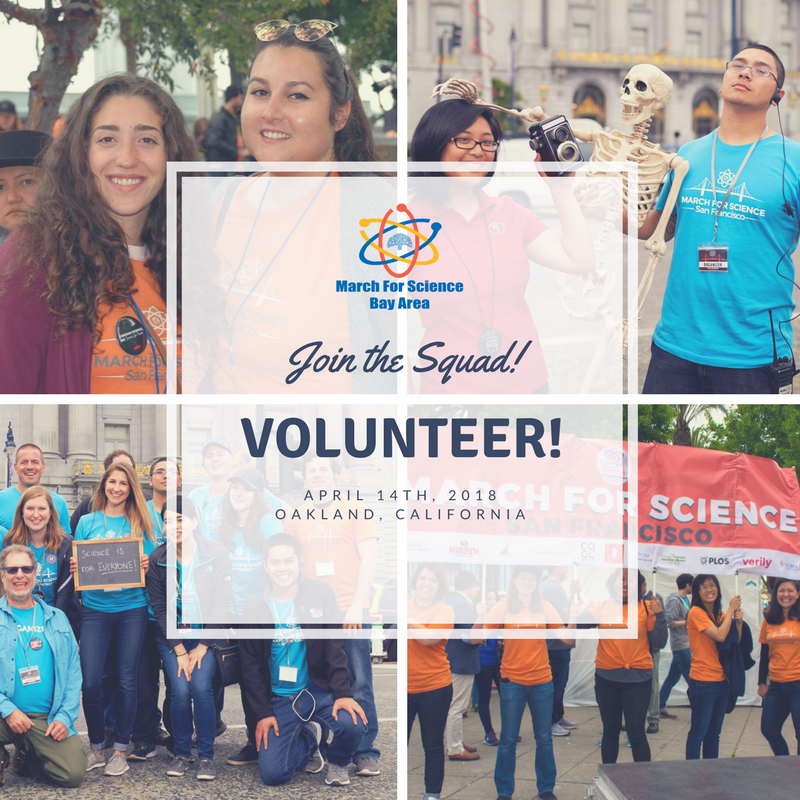 Volunteer with us on April 14th! As a volunteer-run organization, we are always looking for committed individuals to join our efforts. Looking to step up your science wear or add a new book to your library? Check out our latest merchandise for 2018! In 2017, over 70,000 people took to the streets across multiple Bay Area marches. March for Science - SF had over 30 partners and funders as well as 40+ local booths represented at our science fair. 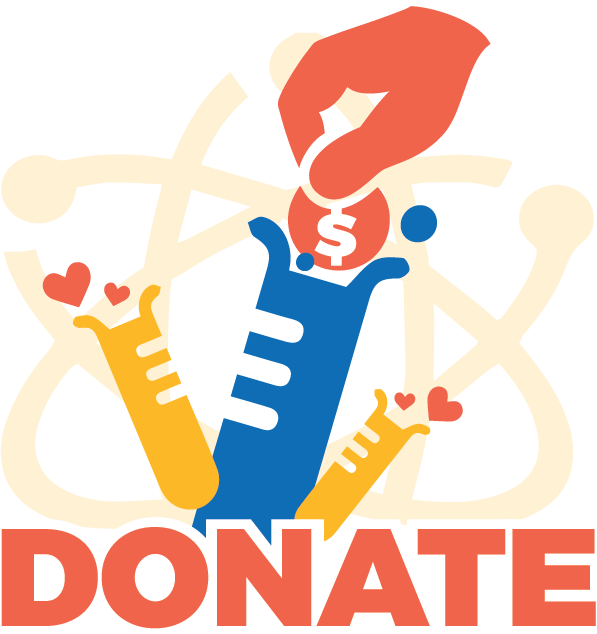 This year, we come together again to demand evidence-based policy and practice, robustly funded and well-communicated science for the common good, and justice in and by science across communities. Are you a local organization working at the intersection of science and society? Interested in endorsing our event or supporting our work in 2018?